El Cantara is a newly opened Spanish and Moroccan restaurant on Frith Street. Much care was taken in decorating the restaurant. Moroccan interior designer Nadine Rovass spent months trawling through the markets of Southern Spain and Morocco searching for unique pieces that would bring the Spanish and Moroccan theme together. To this effect, you will see the nicest of finishings in the restaurant including hand-painted floor and wall tiles, beautifully hand-stitched cushions and pillows, Moroccan lanterns and hand-engraved brass tables. The bathroom in the basement is special too, and houses the finest organic Moroccan hand soap. There’s also a terrace on the first floor with lounge seats where you can sit comfortably, smoke shisha and simply chill. On Fridays and Saturdays, there are also belly and Flamenco dancers available for your entertainment pleasure. 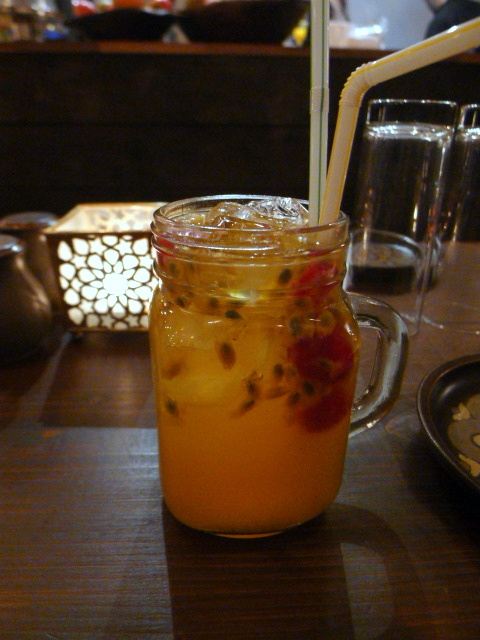 I went to a bloggers dinner at El Cantara a couple of weeks ago as a guest of the restaurant. The menu is divided roughly into tapas to share, tangines, seafood dishes, cous cous, paellas and grills. 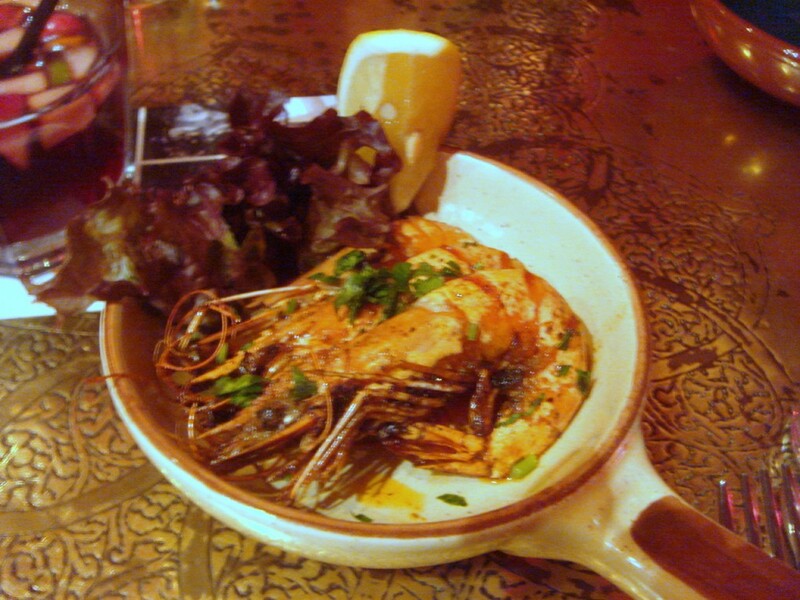 We started with a number of tapas dishes, including gambas al ajillo (£5.45) which was crunchy and firm, although they could have done with a touch more garlic.